I’ve been so good lately and have lost weight so I can loosen up a little. I worked out extra hard to earn these pancakes/ice cream sundae/extra slice of pizza. I’ve got calories left today so let me go find something to eat. I’m sure lunch didn’t have that many calories so I can have dessert tonight. Do any of these sound familiar? Or maybe you can get to a certain number on the scale, and then you blow it every time and you’re wondering why. When you think of eating and exercise in terms of good and bad, reward and punishment, then you often fall into this pattern. You aren’t alone in this kind of thinking. It’s very common and is the thought process of many dieters. We’re so focused on the numbers on the scale, calories in foods, or protein, fats, and carbs, that we lose sight of the real questions we should be asking ourselves. How will it make me feel if I eat it? If you’re not hungry, then that’s your body’s way of telling you it doesn’t need calories at that time. You can go ahead and eat, but eating without hunger has the potential to be excess calories which can lead to weight gain. 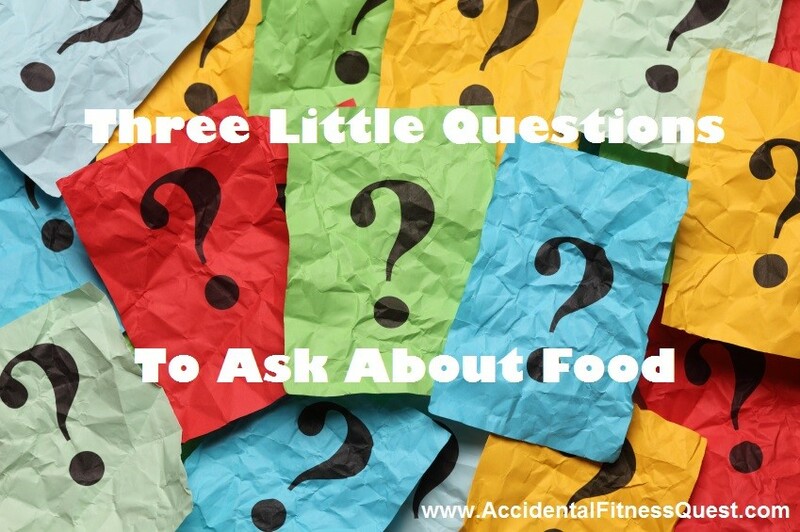 Just ask anyone who has mindlessly snacked and seen the weight creep on over time. Probably not what many of us are aiming for as a goal. Consider also that when you aren’t hungry, food doesn’t taste quite as good. I’m not saying that you need to wait until you’re ready to shovel anything into your mouth. Just imagine the difference between having a slice of cake when you have room for it compared to trying to eat that same slice after Thanksgiving dinner. One isn’t quite as exciting and great tasting as the other. By asking yourself if you’re hungry before you eat, you can eliminate excess calories and reduce eating just for the heck of it. Not to mention when you do eat, you’ll enjoy it more because you’re satisfying a true physical need. Sometimes we get the idea stuck in our heads that we can’t have something or we have to wait if we’re on a diet. You’ll hear about cheat meals or having to workout before rewarding yourself with a favorite treat. People will say I can’t have that, I’m on a diet. When you think of foods in this way, you give them special allure since they’re this rare thing that never comes along. You may plan them out and look forward to them all day, all week even. Have you ever stopped to think about what you’d do if you got to that moment and you didn’t feel like cake, ice cream or pizza after you planned all week for it? What if you got part way through and didn’t want more? If you’re like most of us when the time comes, you’re more likely to eat it even if you don’t actually want it. You might even eat more of it than you would if you just simply asked if you wanted it to begin with and if you checked in part way through to make sure you still really wanted more. Instead of removing foods, earning them, or giving them special powers, just ask yourself if you want it when the time comes. If not, don’t. If you really do, savor and enjoy it. When you’ve eaten a few bites, check in and see if you’re still just as excited as you were in the beginning. Stop when you find the answer is no. The foods you eat should give you energy and make you feel great. Many foods regardless of what they are can do that. In larger quantities though, some foods can make us feel like a slug where all we want to do is sit on the sofa. Eat enough, and you may also want to unbutton those jeans. Pay attention when you eat to the foods and the quantities, and really check in with how they make you feel. I bet you’ll find some interesting observations here. Eat more of what makes you feel great and less of the other stuff. This is an interesting question if you go beyond the obvious of physical feelings. You may also find that certain foods make you feel different emotionally after you eat them. Yes, I’m going to get all touchy feeling with you for a moment. Have you ever eaten something you consider “bad” and then been wracked with guilt afterwards? That’s what I’m referring to here. I’m not saying that you should only eat foods that make you feel emotionally good and avoid ones that make you feel guilty or bad. Not at all. Ask this question though and really be honest with the answer. That way you have the ability to work on it and change your perception if needed or make a different choice that you’ll be OK with later. The bottom line is that the food you eat and the activities you do shouldn’t just be calories floating around in your brain or added up in your days. The more you move because you love it and eat foods because they make you feel great, the more likely you’ll be to keep doing and eating them in moderate quantities. That’s the key to long term weight management and it’s a lot more fun along the way as well.